I’m taking a break from my Kaiju for Dungeons and Dragons series to bring another obsession of mine to Dungeons and Dragons. I’ve been playing a lot of Splatoon 2 lately, so I decided to give them the D&D treatment! The Inklings are best used on dry erase board grids since their attacks cover the ground in ink. They ought to be a great challenge for parties that do not have the ability to fly. A peculiar species of fey, the Inklings resemble mischievous imps bearing brightly colored tentacles on their heads that resemble hair styles. They are considered a nuisance by many races due to their tendency to cause colossal messes with their ability to create and spread a messy, ink-like substance. Turf War. 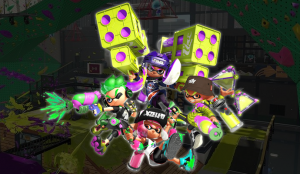 Inklings of different colors participate in a sport known as a Turf War. 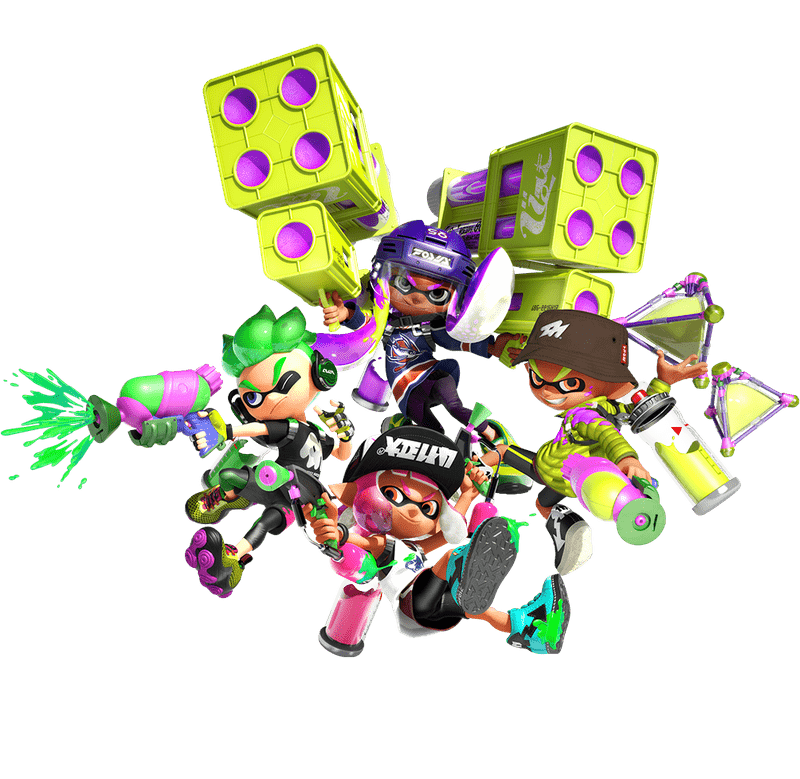 Within a set time period, teams of Inklings will compete to cover the most ground in an area with their specific ink color. Colors. 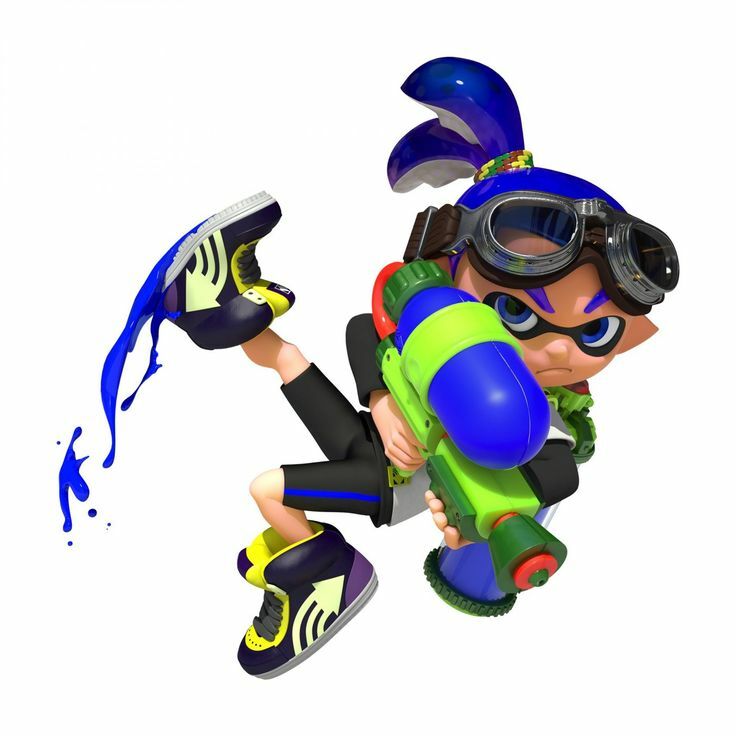 Inkling weapons all fire a specific ink color, designated by the color of its ‘hair’. Inklings can manifest in the following colors: Magenta, orange, emerald, turquoise, blue, purple, yellow. Ink. 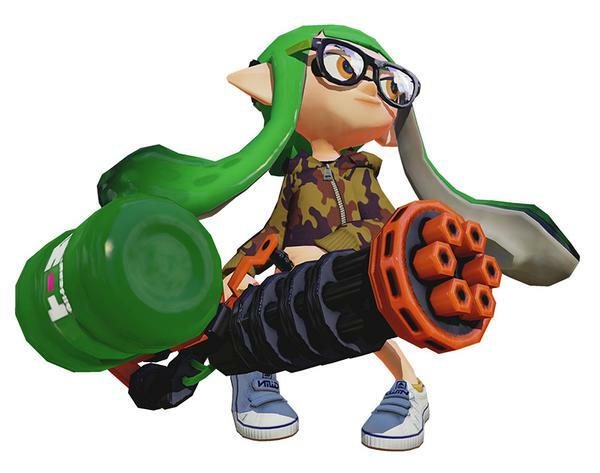 The Inkling relies on ink fired from its weapons for both attacks and quick transport. Ink attacks cover the ground in a gooey substance that is considered difficult terrain for creatures as well as Inklings of a different color, although it will not stick to metallic surfaces. 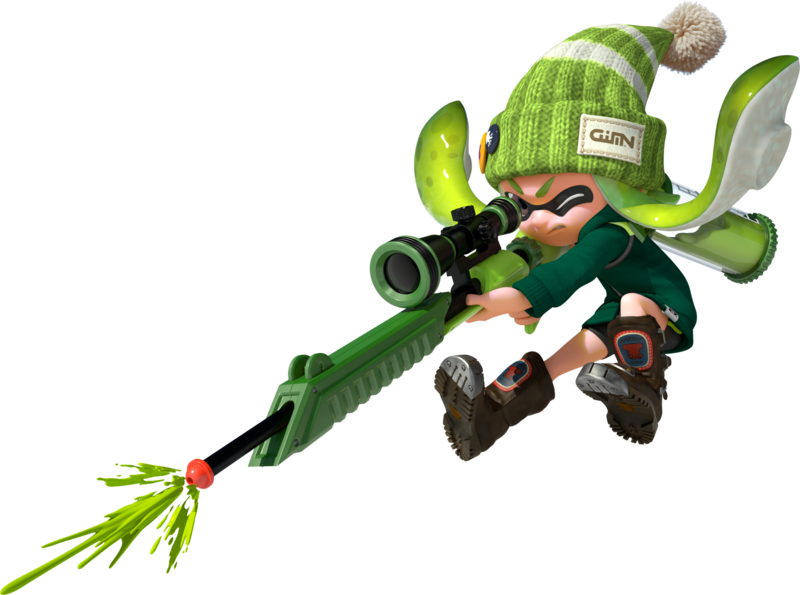 Inklings are immune to damage from ink attacks of their own color. Ink can be removed either by water or spells that clean surfaces such as Prestidigitation. Ink Swim. 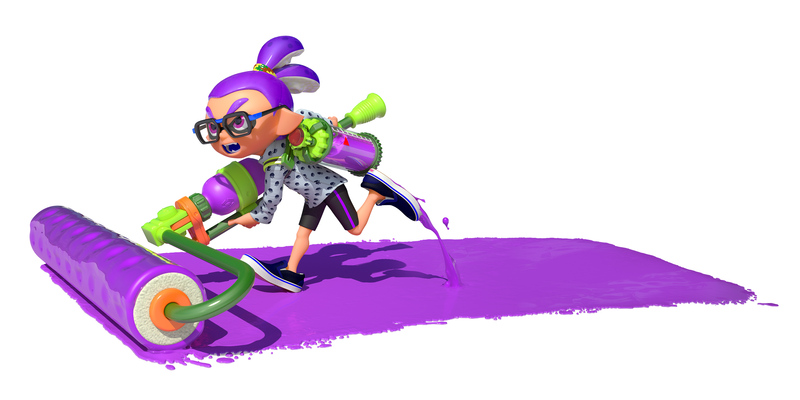 The Inkling can swim in ink of its own color splattered on the ground. When swimming in ink, the Inkling counts as hidden and can move at double speed, even up walls if they are covered in ink. The Inkling cannot swim in ink not its own color. As a bonus action, the Inkling can disengage from an opponent and dive into ink of its own color splattered on the ground. Death Splat. When the Inkling dies, it explodes in a burst of ink. Each creature within 20 feet must make a DC 15 Dexterity saving throw, taking 13 (4d6) bludgeoning damage on a failed save, or half as much damage on a successful one. The 20 foot blast radius of the burst is covered in ink. Multiattack. The Inkling makes three ranged attacks. Splattershot. Ranged Weapon Attack. +6 to hit, reach 30 ft., one target. Hit: 7 (1d8 +4 ) bludgeoning damage. All squares in the path of the Splattershot’s attack are covered in ink. Burst Bomb. The Inkling throws a burst bomb at a point up to 40 feet away. 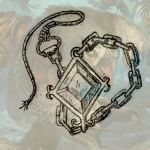 Each creature within 20 feet must make a DC 15 Dexterity saving throw, taking 16 (5d6) bludgeoning damage on a failed save, or half as much damage on a successful one. The 20 foot blast radius of the burst bomb is covered in ink. Super Jump. The Inkling launches itself into the air with incredible force to land in an adjacent square to an allied Inkling within 50 feet. The Inkling does not incur opportunity of attack when using the Super Jump. Multiattack. The Inkling makes two ranged attacks. Ink Charger. Ranged Weapon Attack. +6 to hit, reach 200ft., one target. Hit: 9 (2d8 + 4 ) piercing damage. All squares in the path of the Splattershot’s attack are covered in ink. Disruptor. The Inkling throws a burst bomb at a point up to 60 feet away. Each creature within 20 feet must make a DC 15 Constitution saving throw, taking 12 (4d6) thunder damage on a failed save and is stunned, or half as much damage on a successful one. Multiattack. The Inkling makes six ranged attacks. Splating Gun. Ranged Weapon Attack. +6 to hit, reach 40 ft., one target. Hit: 7 (1d4 +4 ) bludgeoning damage. All squares in the path of the Splattershot’s attack are covered in ink. Ink Throw. Ranged Weapon Attack. +6 to hit, reach 10 ft., one target. Hit: 17 (3d8 + 4 ) bludgeoning damage. Roller Ram. Melee Weapon Attack. +6 to hit, reach 5 ft., one target. Hit: 17 (3d8 + 4 ) bludgeoning damage. Roller Charge. The Inkling runs up to 25 feet forward, using its roller as a battering ram. Any creatures in the Inkling’s path are subject to a roller ram Attack, and if hit, the target must succeed on a DC 12 Strength saving throw or be knocked prone. If the target is already prone, the Inkling can make one roller ram Attack against it as a Bonus Action. Any squares the Inkling walks over while using this action are covered in ink. Seeker. The Inkling deploys seeker that travels up to 100 feet along the ground toward the nearest enemy creature and explodes. 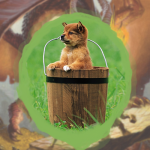 Each creature within 20 feet of the explosion must make a DC 15 Dex saving throw, taking 12 (4d6) bludgeoning damage on a failed save and is stunned, or half as much damage on a successful one. Any squares the seeker travels over are covered in ink. Questions? Comments? 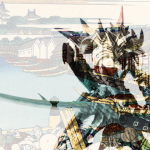 Formatting or mechanics suggestions? Let me know! Just leave a comment or contact me. Stay tuned for more homebrew content. Thanks to /r/UnearthedArcana and /r/MonsterADay for formatting and mechanic suggestions.